I love movie houses. Each year since 2008 I've made it a point to visit and photograph as many theatres within the year as my travels will allow. Over the next several posts I'll be sharing my photographs and stories of the 17 different theatres I visited for the first time during 2011, two at a time, beginning today with the Union and the Warner Huntington Park. The Union Theatre is located at 1122 West 24th Street in the West Adams district of Los Angeles, near Exposition Park. It dates back to the 1920s. 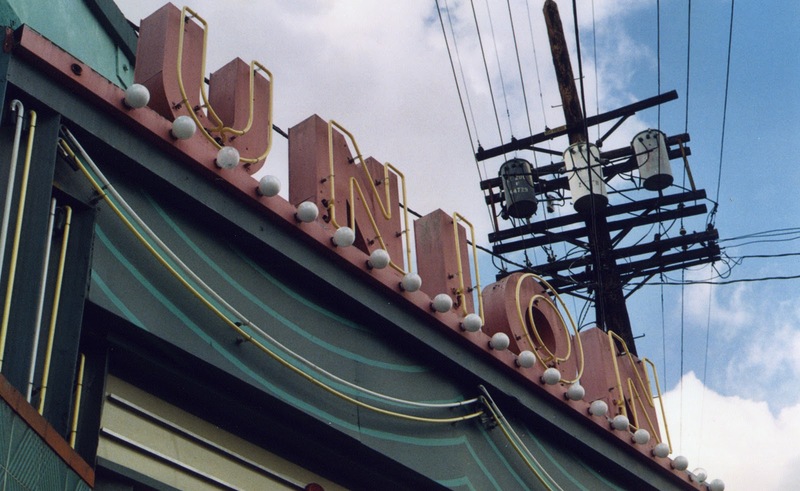 Over the years the single-screen Union has been a movie house, theatrical venue, church, and meeting hall. Since 2005, the theatre has been the home of the Velaslavasay Panorama. It is a darling little theatre, and a definite throwback to the days of neighborhood movie houses. The art deco Warner Theatre in Huntington Park, which sits at 6714 Pacific Blvd., was built in 1930. It exhibited films until the 1980s, when many of the old single screen giants were compromised by the megaplex generation. These days, Pacific Blvd. is a pedestrian-heavy street filled with a mix of discount stores and chain shops. 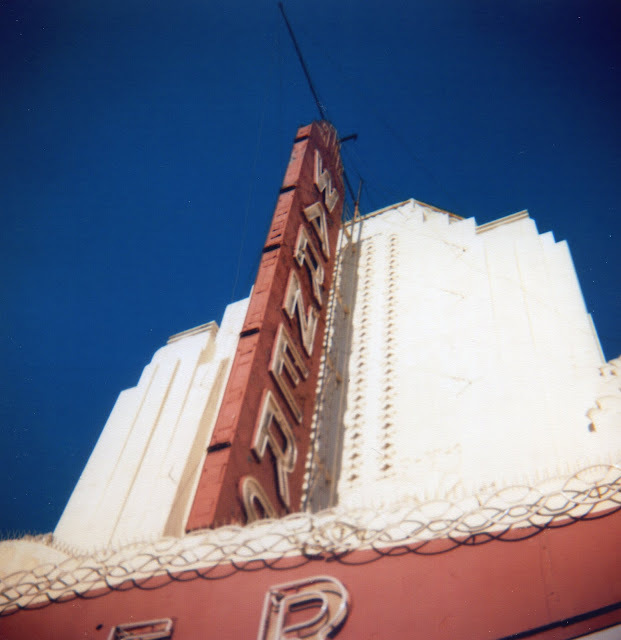 The Warner was designated as a California Historical Landmark in 2007 and remains in good condition, despite being twinned during its management by Pacific Theatres in the 1980s. The troubled economy of the last few years has put Huntington Park's plans to renovate the Warner on hold. In store for next time.... Two from Inglewood, CA -- the 5th Ave. and the Fox Inglewood.